Following an all-time sales year plus worldwide honors in 2018, Volvo drives its momentum into 2019 with a strong sales start and continued recognition across media outlets. 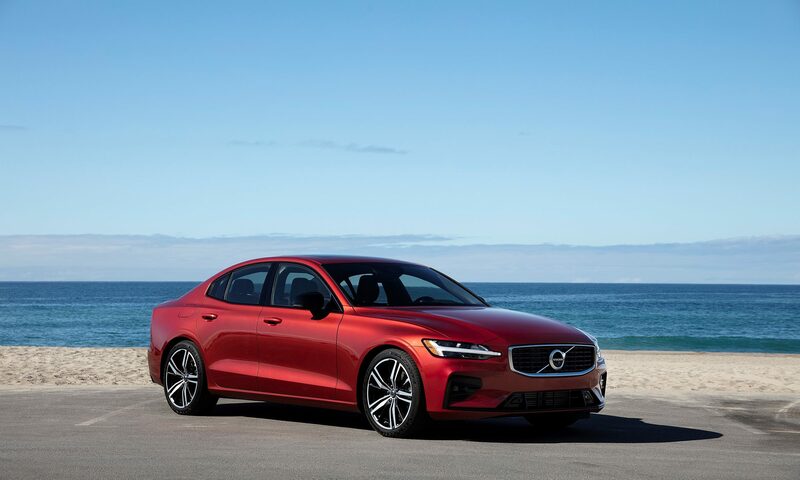 Volvo’s all-new S60 luxury sedan and V60 luxury wagon as well as the XC40 luxury SUV have been named finalist for the esteemed, 2019 World Car Awards. The S60/V60 is a finalist in the World Car of the Year category. A 2019 victory would earn back-to-back titles for Volvo as the XC60 luxury SUV was crowned the 2018 World Car of the Year. The XC40 is also in the running for World Car Design of the Year honors. Volvo’s XC40 continues its worldwide accolade tour as the small luxury SUV earned European Car of the Year in 2018. Car and Driver also acknowledged the XC40 and four other models as Editor’s Choice award vehicles in 2019. After testing 500 cars from an assortment of makes and models, the XC90, XC60, XC40 SUVs, and V90 and V90 Cross Country wagons were recommended by Car and Driver editors. Volvo’s XC90 was praised for its satisfying drive and proficient safety tech options. The XC60 was lauded for its fuel efficiency, the smooth Swedish design, trailblazing driver assistance. Interior design qualities of the XC40 were brought to the forefront as well as the SUVs ample cargo space and abundant tech features. The V90 wagon received kudos for the impressive interior, massive cargo space, and exquisite exterior styling. Finally, the cross country version of the V90 was admired for its luxurious design and enhanced practicality. The Editor’s Choice awards honor vehicles that Car and Driver leaders would recommend to their family and friends based on inherent value, how well it fulfills its intended mission relative to its segment competitors, and how engaging it is from behind the wheel. Further praise came from AutoTrader who named the XC90 as a Must-Have Certified Pre-Owned Car. 2016 to 2018 model years qualified for the “Good as New: 10 Best Luxury CPO Cars for 2019” list. Each Certified Volvo must pass over 170 points during the certification process, have less than 80,000 miles, and feature a detailed CARFAX history report. Volvo has experienced an 11.3% growth in global sales during the first two months of the year, as the early increase Y-O-Y was led by the performance of the XC60, XC40, and the XC90. In addition to the SUV lineup’s output, the S60 became the first American built Volvo, which is manufactured in South Carolina. Do you have interest in purchasing an award winning Volvo model? You can search parkplace.com to inquire about New or Certified Pre-Owned Volvo Cars.